When I was a kid I hated squash. I don't really think it was the flavor as it was the texture and the name...eww..."squash". Blech. At least that's what 8-year-old me thought! "Grown up" me thinks that squash is one of my absolute favorite veggies to enjoy in the summer months. 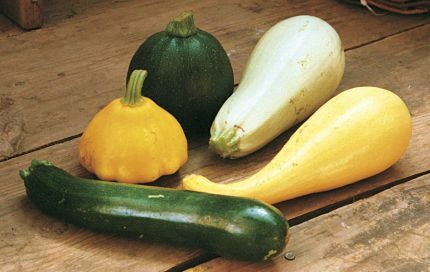 I love yellow squash, zucchini and even patty-pan squash (which I only recently discovered). It's a good thing my husband and I enjoy squash, because in our little farming community, it grows in abundance - is cheap and incredibly fresh this time of year. I was able to get 4 yellow squash, 3 zucchini and 4 patty-pan squash for a whopping $3.50 at our local farmer's market. A fantastic bargain, but it left me with the daunting task of finding new and creative dishes to serve up featuring my bargain veggies! This dish quickly became a favorite, we'll definitely be enjoying it again this summer...probably next time I hit the farmer's market. It was easy and only took me about 20 minutes to throw together. Let me know how you like it if you give it a try! 1. Cook the ravioli according to the package directions, reserving 1/2 cup of the pasta water. Drain the pasta and return it to the pot. 2. Meanwhile, heat the oil in a large skillet over medium heat. Add the shallot and cook, stirring occasionally until soft. Add the squash and 1/4 tsp. salt and pepper. Cook, tossing often, until the veggies are just beginning to soften (4-5 minutes). 3. Add the cream and lemon zest, cooking until the veggies are tender and the cream is slightly thickened (1-2 minutes). 4. Add the squash mixture, cheese, 1/4 cup of the pasta water and 1/2 tsp. salt to the ravioli and toss gently to coat. Add more pasta water to the mixture if it seems too dry. Serve the pasta sprinkled with the chives and any additional cheese you like!